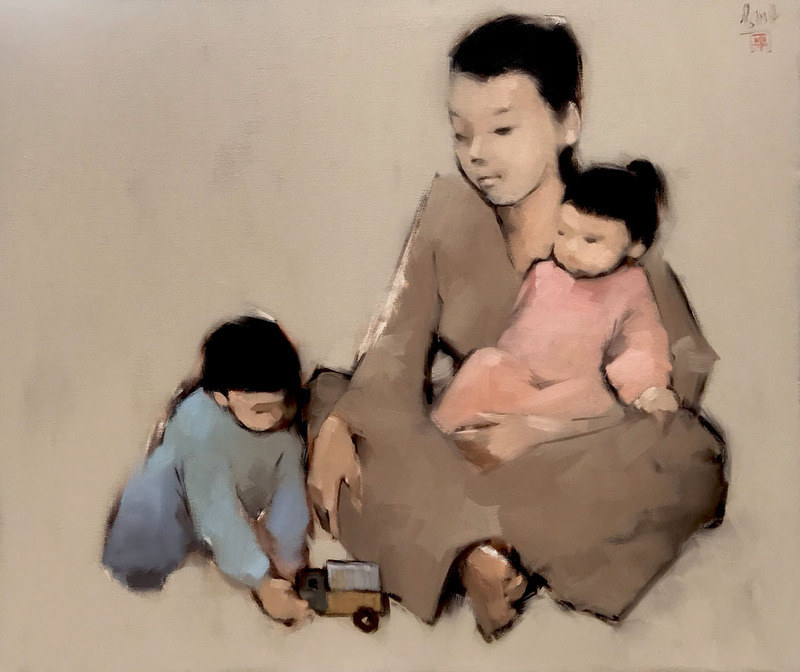 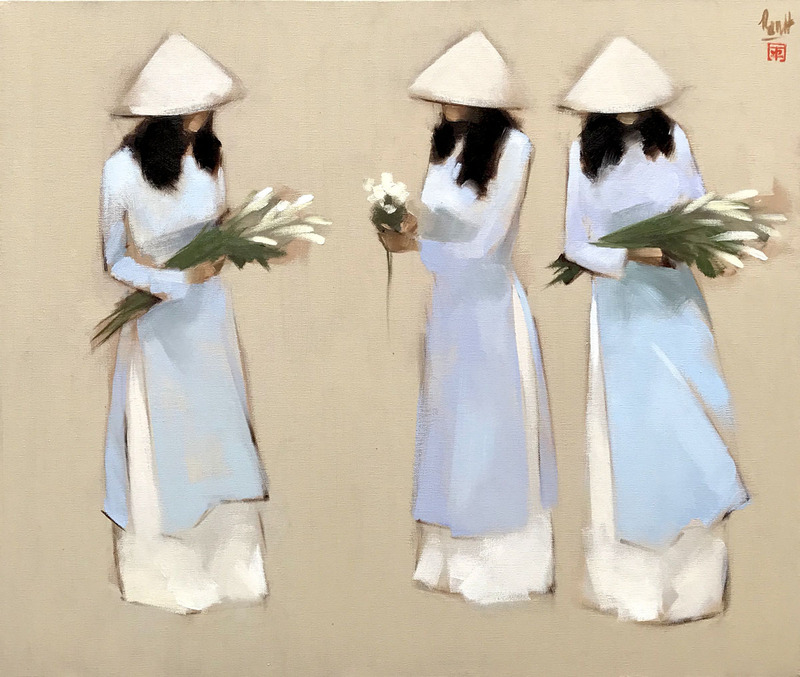 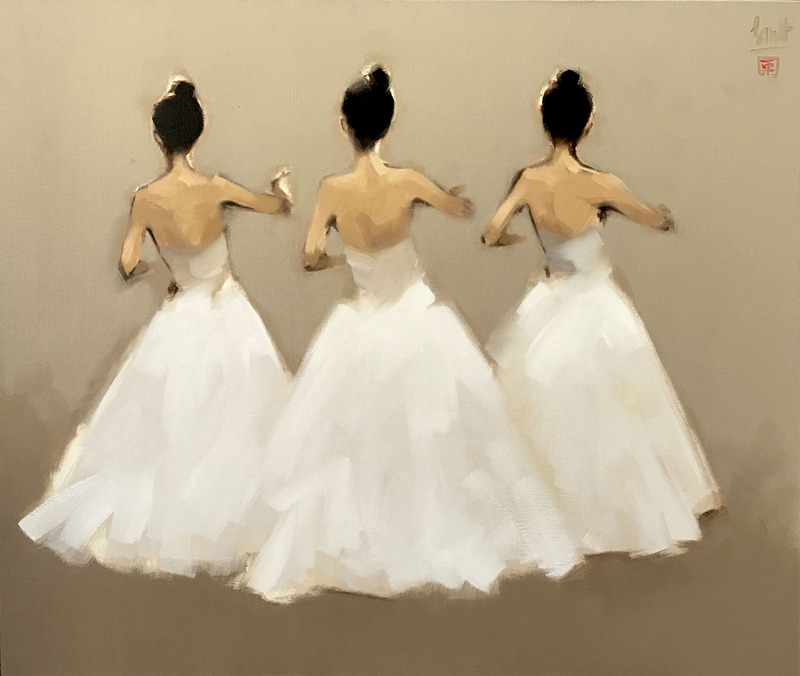 Renowned contemporary Asian artist Nguyen Thanh Binh celebrates femininity in this untitled canvas. 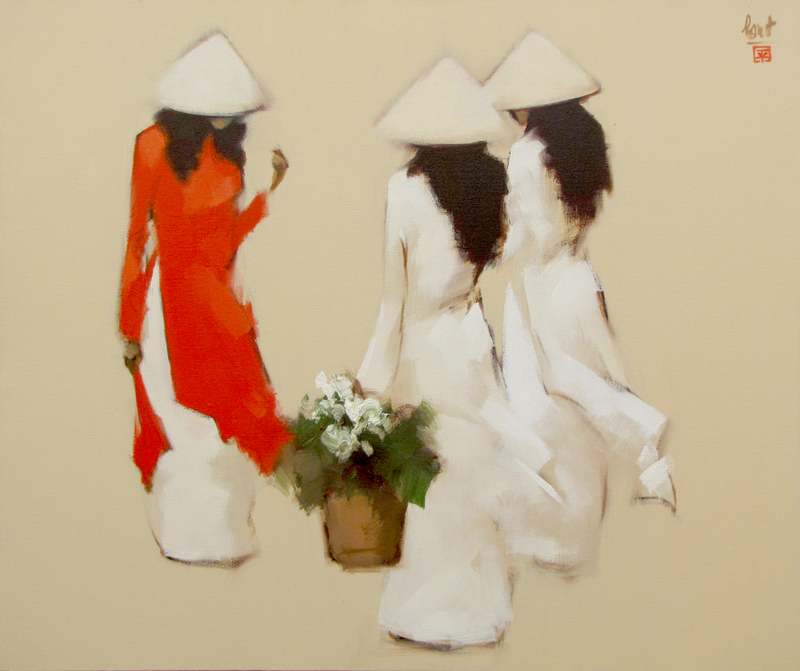 This expressively stylized painting, featuring three women in traditional Vietnamese costumes can easily be compared to the beauty of the flowers which one of them is carrying in a basket. 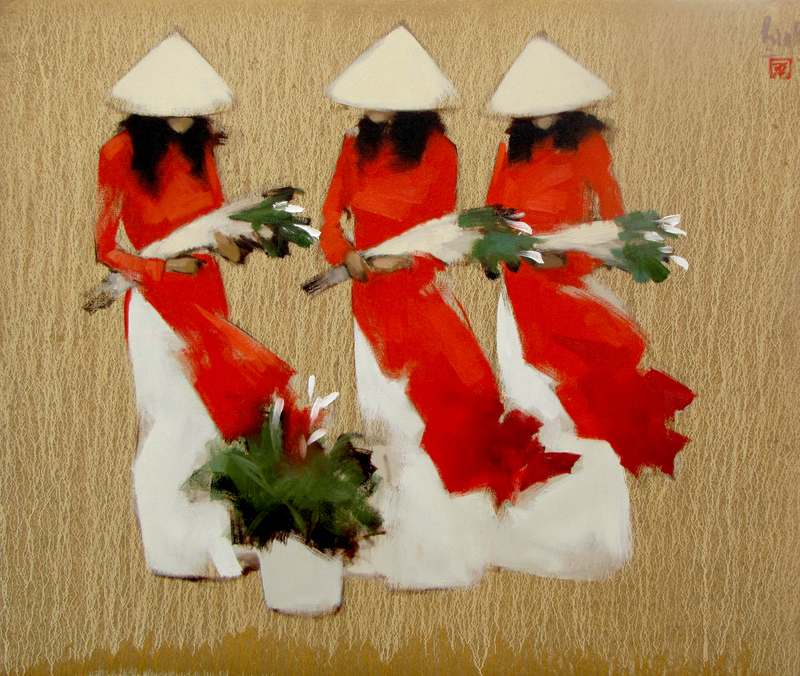 This painting is succinct yet lyrical, as is characteristic of Thanh Binh’s painting style.